Swelling is a condition happening in any body part as an enlargement of body organs with fluid because of injury or illness. Swelling sufferers experience inflammation and pain at the impacted area. If left untreated, it can be dangerous. If swelling happens in your feet and ankles, it is called edema. Actually, there are a lot of things that can lead to this condition, from high blood pressure to pregnancy. But, swelling caused by an injury seems to happen the most. Mild swelling could be treated at home, but make sure that you thoroughly check other symptoms of the injury in order to know if it is a serious condition and needs to be assessed by a doctor. 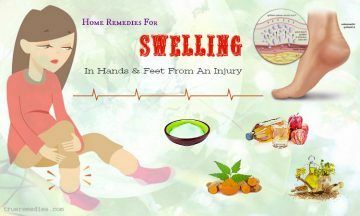 Here, we will guide you how to treat swelling by introducing natural home remedies for swelling on face, in hands and feet from an injury. Before that, have a quick look at general understanding about this issue on TrueRemedies.com. In essence, swelling happens whenever the skin, organs or other body parts of the human body enlarge. Typically, it is a result of a fluid buildup or inflammation. It can happen internally or impact your muscles and outer skin. There is a wide range of condition triggering swelling, such as illnesses, insect bites, or injuries leading to external swelling. Oftentimes, internal swelling is usually the consequence of a serious injury or a side effect of medication. It is better to seek instant medical attention once you go through unexplainable, rapid swelling, particularly if you also go through unexplained pain and weight gain. What Are Causes Of Swelling? For external swelling, the inflammation in your tissues, bones, or muscles are the culprits of the condition. Tumors and cysts might also lead to visible swelling. Despite fluid retention is an just an internal issue, it might also trigger external swelling. As usual, external swelling could be widespread or localized. For localized swelling, it mentions to situations in which just a specific area gets swollen. Widespread swelling happens over the large area of body. It is often a sign of serious ailment and because of an allergic reaction or fluid retention. Besides, other common causes of widespread swelling are heart failure, kidney failure, anaphylaxis, and venomous insect bite. Those people having diabetes as well as specific forms of cancer may go through widespread swelling, or swelling in their extremities, like their toes or fingers. It might appear temporarily. Within the human body, swelling is the consequence of organ inflammation, flatulence, or fluid retention. It can happen in those people having chronic diseases, like irritable bowel syndrome (IBS), cancer and Crohn’s disease. What Are Symptoms Of Swelling? There are some cases of slight swelling which are not obvious, or even unnoticed. This condition does not always result in other symptoms. External swelling with the enlargement of muscles or skin is often visible. Nonetheless, other swelling signs include the fluid buidup in the problematic area. Oftentimes, if your ankles or legs swelling after standing or sitting for a long period of time, it is not necessary to worry. Nevertheless, if it is the result of an injury, then you should see a doctor. In case a chronic ailment leads to internal or external swelling, you might be able to prevent extra swelling through appropriately managing your ailment or taking prescribed medications to cure it. Usually, you will be recommended using medications if your swelling is internal and a consequence of inflammation. Some lifestyle changes are also advised to prevent swelling. Also, a number of measures to take at home are also suggested to prevent swelling, such as wearing support hose, avoiding consuming too much salt, keeping the legs and arms above the chest upon lying down. When applying a hot compress on your affected area, the blood will flow more to that area, reducing the inflammation and pain associated with swelling. The same goes for a cold compress applied on your swollen area, it can numb that area and lessen inflammation as well as swelling . Do not apply ice directly on your skin to avoid damaging it or possible frostbite. Ice is not suitable for chronic injuries. 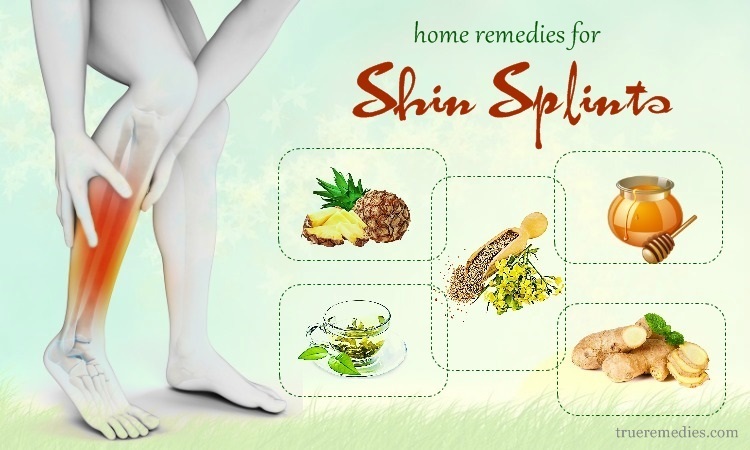 When it comes to home remedies for swelling, exercise is the most recommended because it is a good way to boost your blood circulation and stop the fluid retention within your hands and legs. You can go swimming to take pressure off the feet while still boosting circulation. In accordance with the journal International Archives of Medicine, exercising can alleviate lower limb edema. Furthermore, this helps in lessening swelling in ankles if you have a sedentary lifestyle or if your problem is caused by aging. For swelling caused by an injury, most cases are caused when the fluid pools in the tissues, and exercise can reduce this impact. 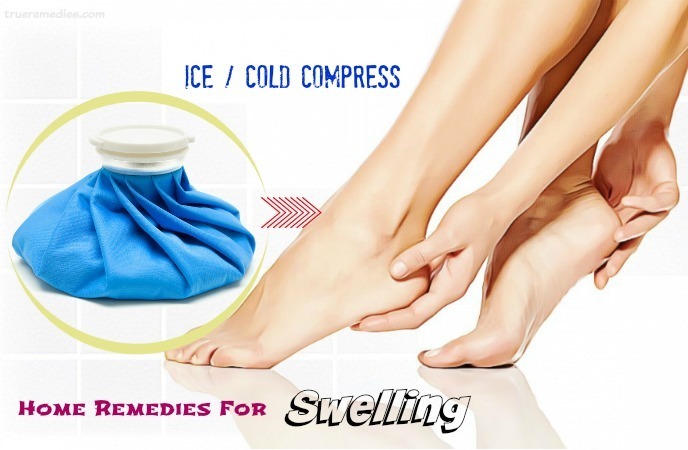 In regard to home remedies for swelling, elevating your injured area works well particularly for the new injuries. This step is used as part of the RICE (rest, ice, compression, elevation) method of taking care for a new injury. By elevating the injured area above the heart, it will encourage your blood to flow away from the injury, and reach to the heart. In case you could not lift your injured area up above the heart, it is advised to at least keep the injury parallel to the floor. By keeping blood away from your injury, it will reduce the fluid volume reaching to it, thereby decreasing swelling condition. This is an enzyme derived from pineapple’s stem. With anti-inflammatory properties, it is good for swelling and inflammation reduction. You can take this enzyme from the stem of pineapples or from dietary supplements. But, consult your doctor about the proper dosage before taking advantage of the supplement form . Note: This enzyme should not be taken before surgery because it might result in excessive bleeding. Being a flavonoid stemmed from apples, leafy greens, capers, citrus fruits, red onions, quercetin can help in decreasing welling in your body. Similar to bromelain, quercetin is also found in the extract form in combination with bromelain. Or, you can add the plants containing this flavonoid to your daily diet to reap its benefits. But, make sure to consult your doctor prior to taking it. 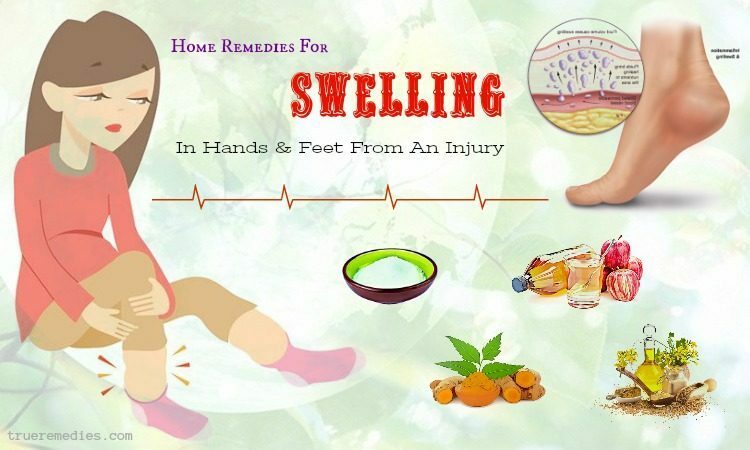 This method, among home remedies for swelling introduced here, can help reduce swelling in feet if you have to stand or sit for a long time. Compression socks also prevent swollen feet and ankles and could make your daily activities easier. It also eliminates the symptoms of fluid retention in the feet and legs by forcing excessive fluid and blood back up the body. The effectiveness of compression stockings for swelling reduction was shown in the journal Dermatologic Surgery. 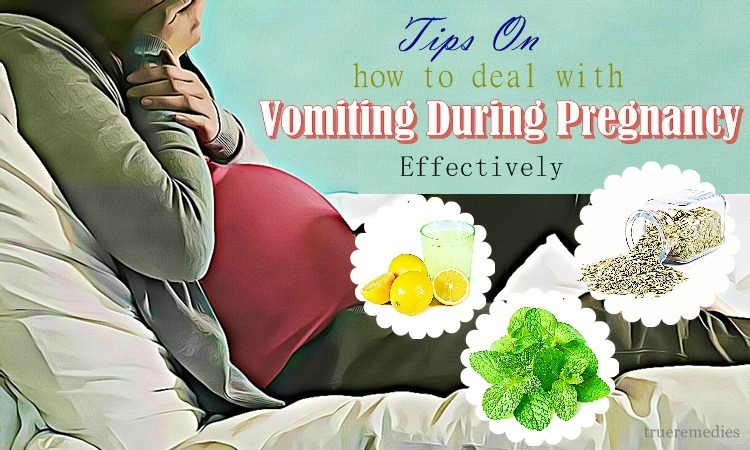 This method is also helpful for pregnant women or people having to fly for a long period of time. Turmeric looks rather like ginger but has bright orange color inside. This root is available as a whole fresh fruit, or a ground, dried spice commonly in North America. It has been used for 4,000 years for treating a number of conditions, including infections, inflammation, and digestive issues. Amazingly, it was found that turmeric can ease pain, similar to the way ibuprofen did for arthritis sufferers. You can take advantage of turmeric as a tea, or used it in recipes. If there is not fresh or dried turmeric available, you can also buy curcumin, which is a powerful compound in turmeric, in the capsule form . Regarding home remedies for home remedies for swelling after an injury, soaking in Epsom salt is an excellent way to relax as well as relieve aching muscles in the feet and legs. Epsom salts have been commonly used for centuries to draw out excess water and toxins from the human body. Furthermore, they are extraordinary easy-to-find and inexpensive, so you can find it in almost any grocery store. According to the British Medical Journal, Epsom salt soak can help with the condition of swollen feet. You can have an Epsom salt bath to boost blood circulation and decrease the discomfort in swollen legs resulted from heart disease. 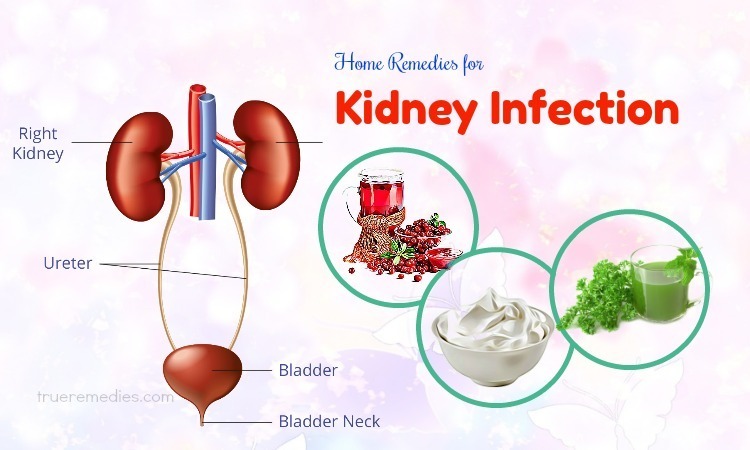 It may sound like strange regarding home remedies for swelling because most of us use dandelions as the fuzzy yellow flowers which are regarded as weeds in general. Nonetheless, this plant has a number of benefits, including playing as a natural diuretic. In fact, fluid retention might result in swelling, but electrolyte depletion and dehydration might encourage fluid retention. And drinking dandelion tea will help with these problems. Being a natural diuretic, it can reduce fluid retention. Also, it is rich in potassium, which means that it can keep your electrolytes in balance. Despite this is not a common tea, it could be bought at local health food stores or online . The swelling caused by an injury can be treated with mustard oil application. This sounds unusual but works well. Whilst mustard oil is known as a condiment, it can restore blood circulation. Swelling is sometimes caused by a lack of blood circulation, not to mention to an injury impact. Thus, applying warm mustard oil can restore the circulation, thereby decreasing swelling . In order to warrant for rapid treatment of swelling from an injury, you should let your injured area rest for the first 24-72 hours. By resting appropriately, your damaged soft tissues associated with minor injuries will be repaired. In addition, continual strain will lead to more pain, inflammation and slow down the healing process. In case you have an injury ankle or foot, you can use crutches to remove the pressure on your swollen area. For people having an injured arm, you can use your normal arms to execute the tasks or have other people to help you. Apple cider vinegar is a household staple which is usually used for cooking or a low-calorie salad dressing. In the past, Hippocrates used vinegar to heal the wounds, in accordance with Medscape General Medicine. In reality, apple cider vinegar has been commonly used to treat heartburn, acne, sunburn, infection and diarrhea. There even are some research evidence showing apple cider vinegar having a possible effect on blood sugar regulation, infection, and heart disease. The active ingredients in apple cider vinegar include pectin, potassium, malic acid, calcium, acetic acid and ash. When the potassium levels in the human body are not enough, the body cells tend to fill with water. This is one of causes of swelling in the body. It is because the potassium ion is responsible for cellular pumps within the body. Consuming apple cider vinegar can help replenish potassium levels in the body whereas also reversing the fluid retention in swelling sufferers. Because apple cider vinegar is very acidic, it might irritate your throat when you drink it in large amounts or too often . You had better dilute it with water or some juice prior to taking it. The proper ratio is 2 tablespoons of organic apple cider vinegar mixed with 1 gallon of purified water. Add little honey if you want to add taste to the mixture. 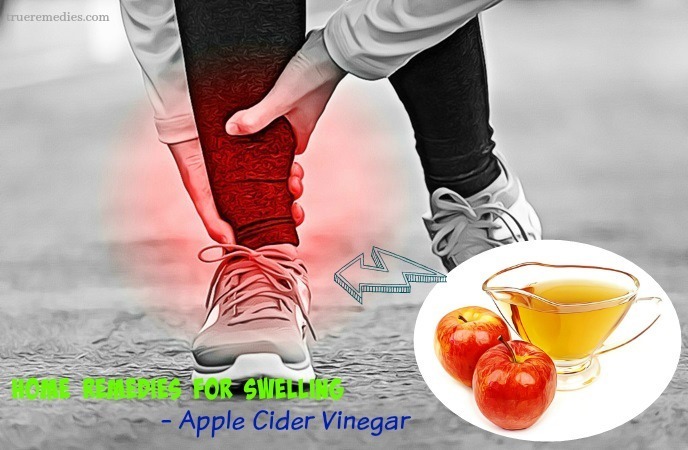 Leg and ankle swelling could be inconvenient and painful, but you can cut down the swelling severity by using apple cider vinegar. Short term uses of apple cider vinegar are safe for the majority of people. But, if taken internally, higher dose or extended use of it might come with some problems. Apple cider vinegar may potentially interact with certain supplements or drugs, such as diuretics and insulin. It may reduce blood sugar in people having diabetes, so it can interact with some anti-diabetes. This herb looks like the paw of a devil. This creepy-looking root is shown to be good for reducing pain as well as physical functioning in those people having osteoarthritis. Devil’s claw consists of components named iridoid glycosides, which are thought to help relieve pain. The root of this herb can be taken as a homemade tea. It is also sold in the form of ointments and capsules. This is the bark of white willow tree and has been used for thousands of years to alleviate inflammation and fever. The content of salicin in white willow bark provides similar effects to those of aspirin. Many studies have shown that willow bark is efficient in decreasing lower back pain. You can make use of this herb in the form of tea, capsules or a tincture. Also, it is used as an ingredient in combination pain-relief supplements. Among home remedies for swelling, egg membrane is little known. It is the transparent layer between the shell and the gel-like part of an egg. You can easily see it on the hard boiled eggs. Egg membranes have components of membrane designed to help protect the egg, including glucosamine and collagen. A study has shown that egg membrane can reduce joint pain as well as knee stiffness in those arthritis sufferers in comparison with a placebo. You can buy egg membrane in the supplement form or take it from a boiled egg. While everyone does not want to experience swelling, it is still good to have some home remedies for swelling after an injury ready for when it happens. The list available above is important they are tested before being recommended to you. The next time you suffer from swelling, whether it is caused by an injury or any other thing, make sure that you refer this list. 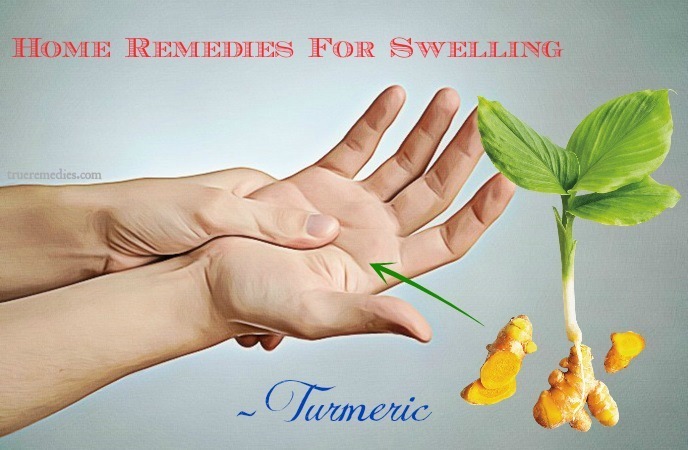 If you feel our 15 home remedies for swelling are useful, do not forget to like and share it. 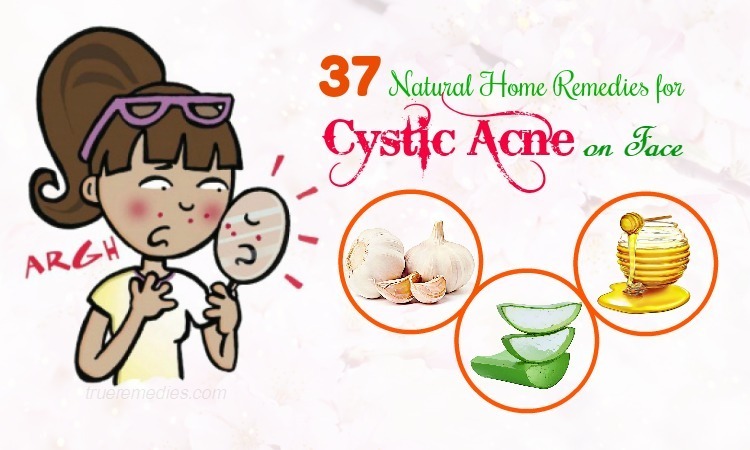 To refer some similar tips and tricks about health and beauty, visit our Home Remedies page. Also, share your favorite swelling treatment by dropping words in the comment box below. We appreciate your contribution and will respond as soon as we could.